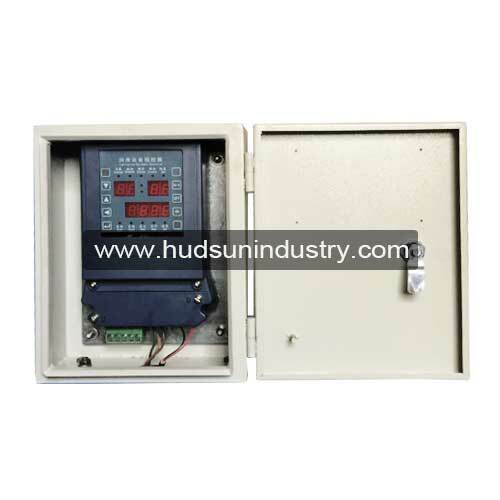 – Electric box HS-ECB08 automatically controls lubrication equipment and lubrication pump to replace the man operation and saving maintenance cost, this electrical panel controller is used for the electric motor with power below 1.5kW, there are alarm single for overcurrent protection. 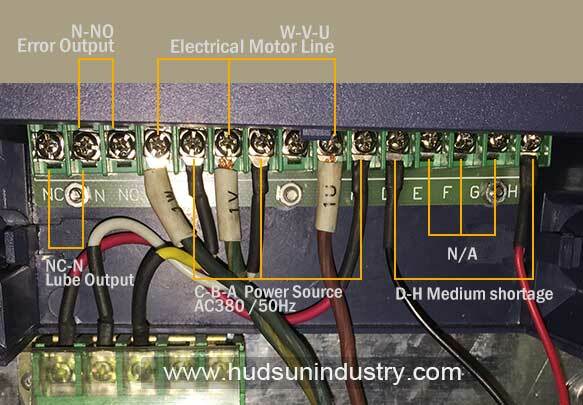 – H/A means Auto/Hand condition switching, the On and Off is workable only under the condition of hand status. – The time on the electric panel is minute as unit, for example, 001.3=1min.18sec. as supplying time, the minimum setting time is 1 minute. – The lubrication pump will stop running if there is an error of electric controller, please fix the error and power off and on again until the pump begins to work. The default mode of electric controller is “Auto” after power on. 1. Press key “SET”, “A” flashes setting the grease or oil supplying time, minimum setting time unit is minute, multiply the number after the decimal point is the second. Then press the key “LEFT” and “UP” to reach the required supplying time. Press key “SET” after finishing the setting. 2. 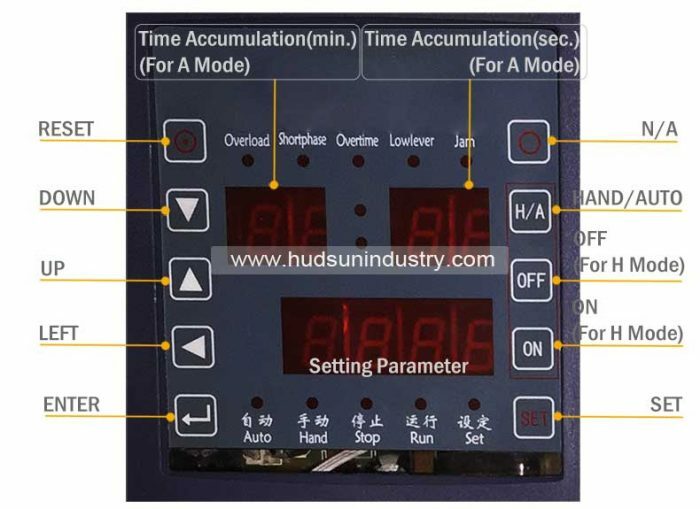 Press key “SET” and then press key “ENTER” to switch the parameter each, A= Supplying time; b= Lubrication cycle time interval; C= Overcurrent. Please press the key “SET” to confirm after setting finished. 3. The pump will not operate automatically on the mode of “H”, and stop the pump by key “OFF”. 4. Press key “ENTER” to check the parameter setting. 1. The electrical controller will set to default after the power on, and trouble display will be shown as soon as starting run the pump. 2. The single of low lever of grease or oil will not show under hand operation condition and pump does not run. It will stop the pump after lighten the single of low lever in 5 seconds. The grease or oil should be filling in immediately, then press “RESET”, or key “LEFT” and ”UP” to restart. A: Press “RESET” key to cancel error, to enter the default “Auto” mode. B: By key of “LEFT”, ”UP” to delect the trouble temporarily, the present mod will not be changed.